Imported file matching to Amazon MP3 library. This is big. Any time you import music into Amazon Cloud Player, before the file is uploaded, Amazon scans the entirety of the eligible Amazon MP3 library and if it finds a match, just adds that file to your Cloud Player library. That means the song doesn't have to actually upload - you just have it. I've tested it, it works, and really well. If you have the 20GB promotional subscription to Cloud Player, it's worth starting the importing now - it goes crazy fast, and the import tool works great. More file types are supported for import (assuming it can't find a matching track). Amazon MP3 will now allow you to directly upload MP3 and M4A (AAC and Apple Lossless) files, and if it finds a matching track to place in your library, you can also use WMA, WAV, OGG, FLAC, and AIFF files for the matching process (these cannot actually be uploaded, just used for the matching process). 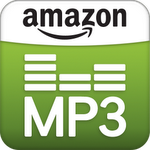 Did you purchase an MP3 on Amazon way back when before Cloud Player even existed? Amazon will now take those old purchases and automatically add them to Cloud Player (if they're eligible), and they won't count against your storage quota. If it can find an upgraded 256Kbps version, it'll use that as well (your original files will be preserved, too). Metadata can now be edited directly from Cloud Player, and there's now a "get info from Amazon" option to auto-populate track and album information. The Android app has been updated as well, though the changes are basically just things required to make it compatible with all this new stuff, apparently. This certainly gives Amazon MP3 another leg up on Google Music, and even iTunes. Amazon has also introduced a new pricing tier as part of the update - $25 a year for 50GB (250,000 songs) of storage. For those of you keeping track at home, that's about $2 per month, which is less than what Google charges for 25GB of its own unified storage. The 20GB option is $10 a year. The only drawback is that the free version of Cloud Player now only allows for you to have 250 non-Amazon MP3 tunes. 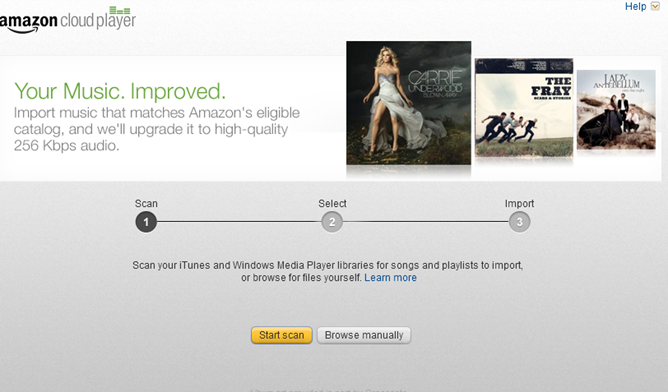 Be sure to check it out - I know I'm really thinking of dropping that 25 bucks and never looking back at Google Music. Sony Backpedals On Jelly Bean Plans For Its Xperia Devices, Still "Actively Investigating"